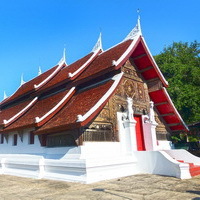 Bloggang.com : nanakawaii - วัด (พระแก้วดอนเต้า) สุชาดาราม Wat Suchadaram, Lampang. 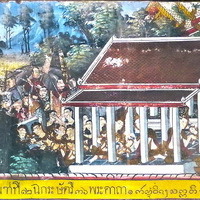 On Suchada Road, Tambon Wiang Nua, Amphoe Muang, Lampang. 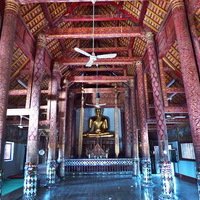 Location of murals: Inside the Vihara (the main assembly hall). 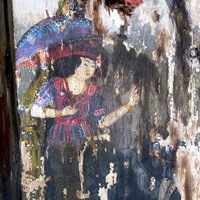 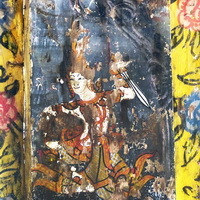 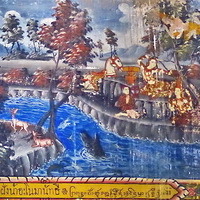 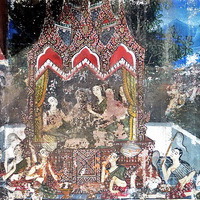 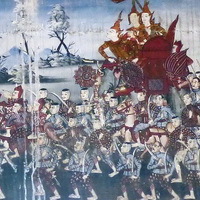 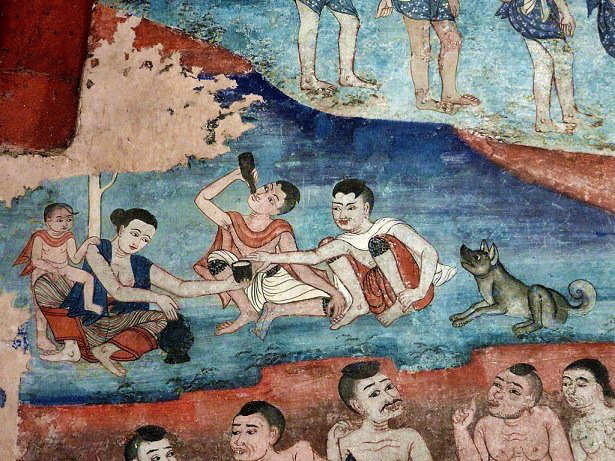 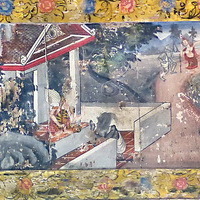 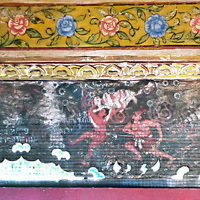 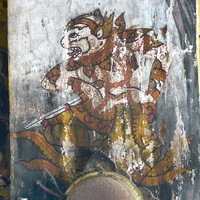 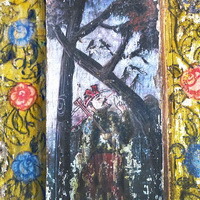 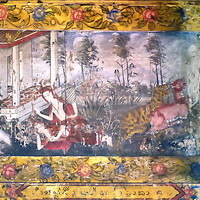 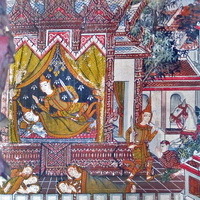 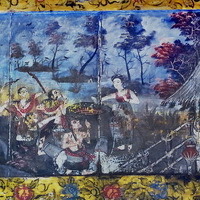 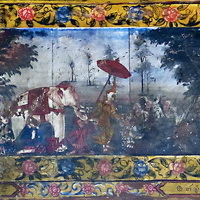 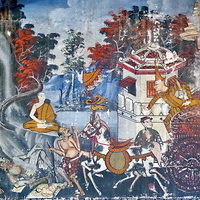 On the roof supporting planks, one can find murals telling Vessantara in details as well as 4 episodes of the Buddha Story and some scenes of Hell. 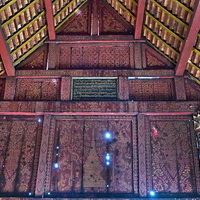 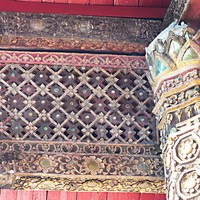 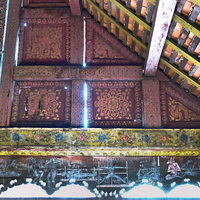 The rest of the building is decorated with Lai Kham (gilded red lacquer). 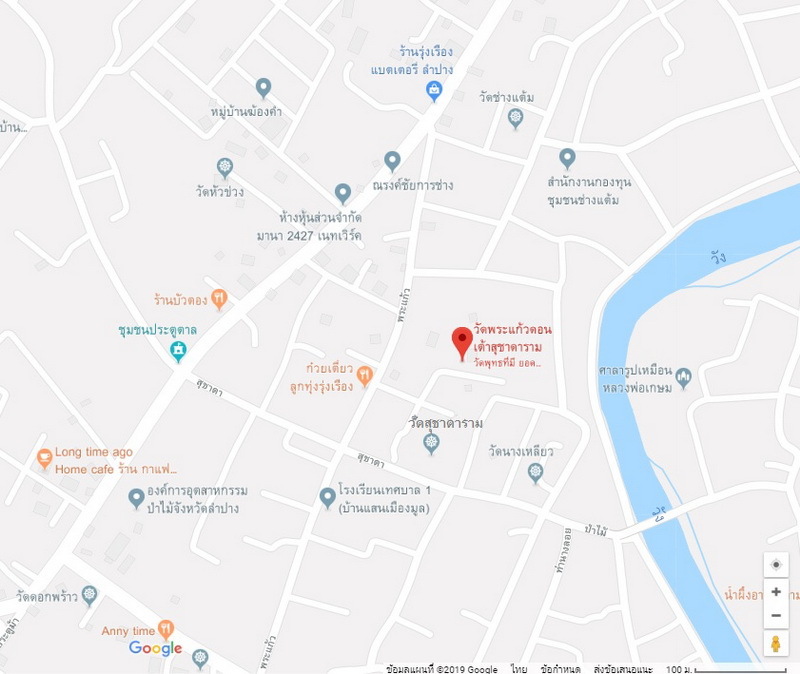 Last Update : 11 กุมภาพันธ์ 2562 10:56:40 น.